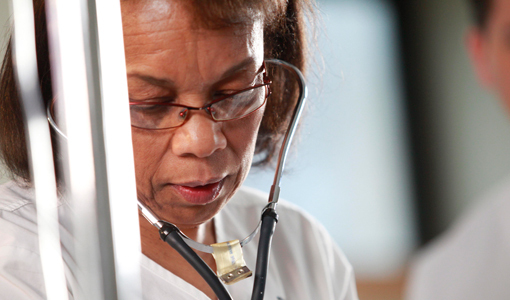 Diversity, inclusion and cultural competence are necessary for effective, primary health care. This means representation of diverse people and approaches in all aspects. It means cultural competence development (attitudes, knowledge, skills, behaviors and policies) required to serve Nova Scotians across their diversity. This is important for reducing health inequities and the impacts of the social determinants of health on marginalized people. It improves culturally effective access to services and programs and supports the prevention and management of chronic disease. For more information go to Cultural Competence, Diversity and Social Inclusion and Social Equity page. This website provides access to an inventory of practice guidelines developed by the provincial programs of the Nova Scotia Department of Health. The inventory includes guidelines for prevention, screening and management of cancer, diabetes, renal and cardiovascular diseases, as well as guidelines for reproductive care. New guidelines and updates to existing guidelines will be added when complete. Health literacy is the ability to find, understand and use information, services and supports to make informed health choices. The Department of Health and Wellness has developed several of resources for health care and health promotion professionals and community partners to support health literacy at the patient-provider level and community level. The CGA & Health note is both an EMR (Nightingale on Demand) template and paper-based tool for nurse practitioners and other providers who care for seniors/frail elderly in an office practice, long term care facility and/or other community settings. The CGA tool for family physicians was the foundation for this tool. It was enhanced to enable community providers to document a comprehensive assessment or components of an assessment consistently across settings and encounters. The tool was built and tested by nurse practitioners who provide primary health care in long-term care facilities. The EMR template is available for download on the PHIM website. The attached paper-based tool will support those who work in or collaborate with others who work in a paper-based system.